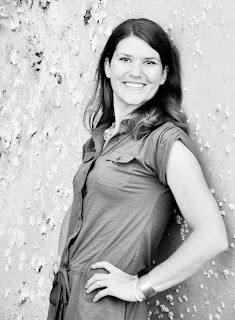 This week my lovely bloggy friend and sister in the Lord, Amber from Click. Pray. Love. is guest posting. Amber has been such an inspiration and an encouragement to me since I first "met" her. She has such a sweet spirit and the Lord is truly glorified on her blog. My name is Amber and I am a Kentucky country bumpkin that has been transplanted to the hot southern city of Tampa, Florida. I graduated from the University of Kentucky with a master's in Physical Therapy. It was there that God changed my heart and I have been on this journey of life with Him ever since. I am so thankful to know Jesus as the LORD and Savior of my life and truly couldn't imagine my life without Him. Shortly, after moving to Tampa God grew our family of two to three. 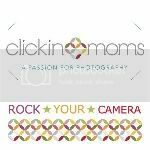 I became a stay at home mom who began experimenting with photography and blogging, as result of the new, cute, little human that graced my presence every day. Little did I know, photography and blogging would become a passion of mine that grows and changes every day. I blog at Click.Pray.Love. There you will find my writings, photographs, and faith experiences as I try to find the Divine among the daily. Many times, I have thought about how I do not even begin to grasp or understand love. Each time I read God's definition I realize just how difficult it is to really love others. I also realize that only one person has ever loved perfectly.....Jesus. He is the picture of patience. He would sit for hours teaching those who wanted to hear, enduring those who mocked, and explaining to those who did not understand. He practiced kindness, treating outcasts with favor, such as the woman at the well (John 4), the adulterous woman (John 8), and the lepers (Luke 9), to name a few. He did not envy others or long for their belongings. Instead, He taught that worldly possessions are meaningless. He taught and was obedient to the will of the Father. He did not boast about all of His amazing attributes or His perfection. He remained humble giving all glory to God. . He was so void of pride that it angered the religious leaders. He never became prideful when teaching others, although He knew and was absolute truth. He was bold, but not prideful. He was not rude, but instead spoke the truth boldly; extending gentleness to the broken and firmness to the heretics. The truth is hard sometimes, but He loved always and avoided talking down to people who were not as knowledgeable as He. His whole life was devoted to serving others. No selfishness, instead selflessness. When He was tired He would still take the time teach those who longed to hear His words. His own people hurt Him, but He did not take revenge or keep a record of their wrongs. Instead, He said, "Forgive them for they know not what they do." Even now, he will accept all who believe and call on His name. He had so much to be angry about, Judus' betrayal, Peter's betrayal, His beatings, His death, but He chose not to be angry. Once again, He said, "Father, forgive them for they know not what they do." His only hint of anger came when the people were trading in the temple courts, but His anger was all out of love for the Father and the desire to uphold His commands. He was/is the perfect example of forgiveness. He gave His life to forgive the sins of all people and set those who believe in Him free from the law of sin and death. He always rejoiced in the truth and encouraged all people to live out the truth for the most abundant life possible. His 30+ years on earth was a perfect display of protection, trust, hope, and perseverance. He trusted God's plan and lived in obedience. He not only hoped, He was/is the hope of the world. He pressed on and attained the victory over death. You, Jesus are UNFAILING LOVE!!! I long to love like that. To avoid being rude, unforgiving, easily angered, envious, boastful, impatient, and unkind. Then, I asked myself, "What happened and how did I feel when I loved in that way?" The overwhelming response was, FULL OF JOY!! Then, I realized that those few experiences were short periods of time. I struggle to fully love in the every day mundane details of life. I struggle to fully love when I am in the midst of a storm. I struggle to fully love when things don't go my way. I struggle to fully love, because at the end of the day I am saved from the punishment of sin, but my flesh still struggles with sin. At the end of the day, I still need the grace of the one who is UNFAILING LOVE to fall fresh over me, so that I may love a little better tomorrow. Beautiful post! I've been following Ambers blog for a while and I love her photography - now I find she's a wonderful writer too! Amber you have a wonderful way with words. Each of you are so kind to encouraging me during a time when I really need it. This Week's Featured Linkup - ''Quotography"
Day 279 - Anybody home? How do you choose the blogs you follow? Birthday Month - Looking for Giveaway Sponsors!